The stylish, durable, and functional Thunder Group 1006TR Longevity Melamine Plate 6" is an excellent piece of dinnerware. 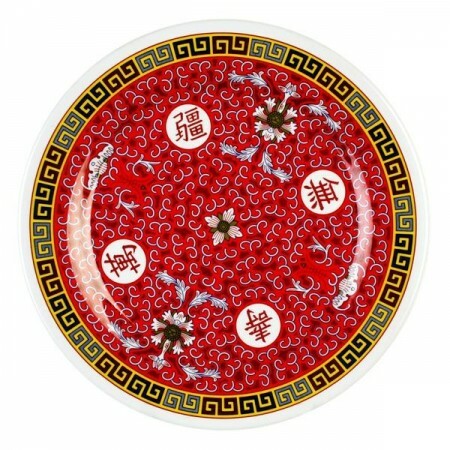 The vibrant, intricate detail of this plate adds oriental beauty to any Asian-themed table setting. Thanks to its break-resistant melamine construction, this dishwasher-safe round plate looks like delicate china but is durable enough to resist scratches and heat damage making it suitable for high-volume service.